Whilst there’s plenty of choice at Disney World restaurants for adults, many of the kid’s menus are very similar. 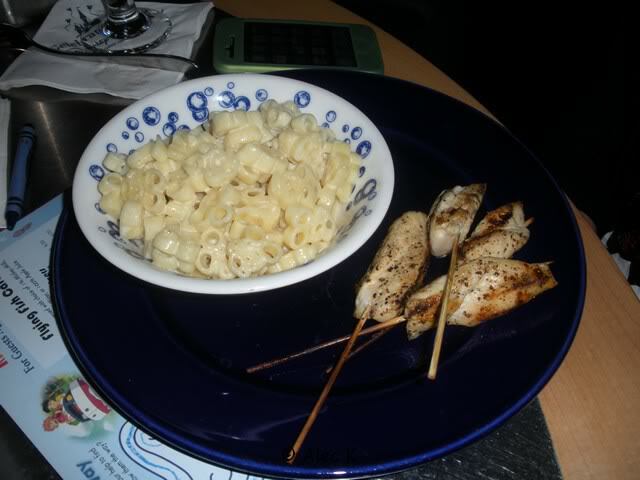 Offerings are normally restricted to meaty macaroni, grilled chicken breast strips, cheese pizza, cheeseburger, mac & cheese, with the occasional grilled fish thrown in here and there. If you’re spending a lot of time eating at table service restaurants, or have a child with a more refined palate you may want to dine somewhere with a wider choice on the kid’s menu. So, after reviewing menus from every table service restaurant at Walt Disney World, I’ve put together a list of what I consider to be the best table service restaurant menus for children. I’ve not included buffet restaurants, which are an excellent choice for kids as although the kid’s buffet section normally has the same regulars such as chicken nuggets and mac & cheese, kids can help themselves to anything from the adult section of the buffet. Nine Dragons (China, Epcot) – A choice of Pot Stickers and Vegetable Spring Rolls for appetizer; Sweet & Sour Chicken or Lo Mein and Meatballs for entree. Tokyo Dining (Japan, Epcot) – A Tempura Combo of shrimp and chicken, Teriyaki Chicken or Vegetable Croquette, accompanied by vegetables and rice. Flying Fish Cafe (BoardWalk) – Appetizers are Romaine Lettuce or Fruit Skewer with honey yogurt. The entree menu consists of Fish Sticks, Beef or Chicken Skewers, Grilled Cheese, all with roasted red potatoes and vegetables. Hollywood Brown Derby (Disney’s Hollywood Studios) – Grilled Chicken Breast with bbq sauce, Tempura Fish Strips and Grilled Hot Dog. 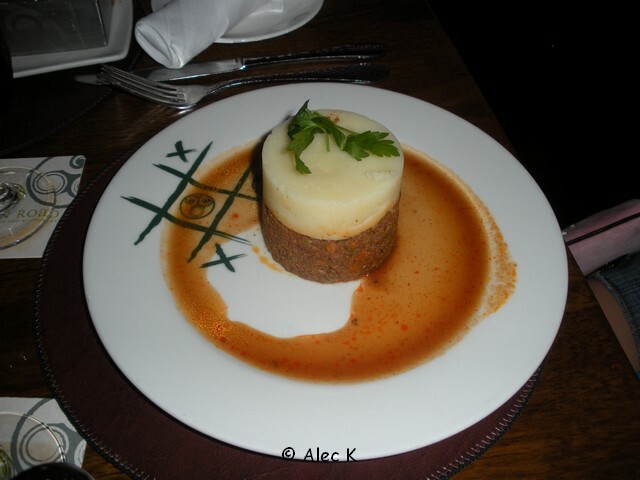 Rose & Crown (United Kingdom, Epcot) – Potato & Leek Soup is an appetizer choice, followed by Shepherd’s Pie, Bangers and Mash, or Mac & Cheese. Maya Grill (Coronado Springs) – offers Mozzarella Sticks or Nacho Chips for appetizer, followed by a decent selection of items to choose from including Beef Tenderloin Tips, Breaded Chicken Parmesan, and the rare offering of Pan-seared Salmon. San Angel Inn (Mexico, Epcot) – Cheese quesadilla and Beef Tacos join chicken tenders on the menu here. 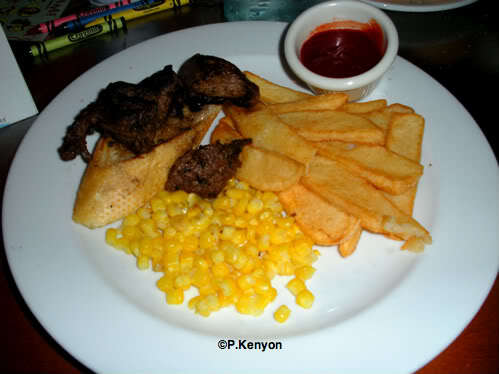 Whispering Canyon Cafe (Wilderness Lodge) – Kids can order their own version of the Canyon Skillet at lunch or dinner, with a choice of chicken or ribs, plus mashed potato and corn on the cob. One of the dessert choices is the delicious sounding cinnamon apples. Fulton’s Crab House (Downtown Disney) – A lot of seafood dishes here including an unusual choice of Alasaka King Crab Legs, Snow Crab Legs, Baby Shrimp Pasta, plus more regular options such as chicken tenders, spaghetti and hot dog. Raglan Road (Downtown Disney) – Many of the options are scaled down versions of the adult menu choices, including the Dalkey-battered Cocktail Sausages, Shepherd’s Pie, Atlantic Fish and Crispy Shrimp. Please note: all menu items subject to change. I love it when the children’s menus offer scaled down versions of adult food. 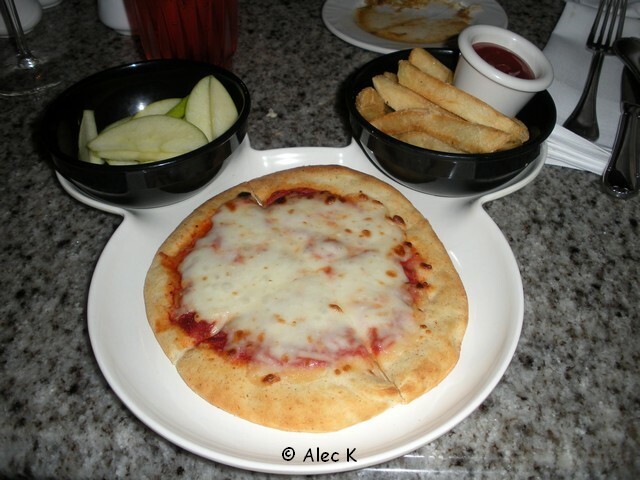 It can be so hard to keep kids eating healthy when you eat at the theme parks, when all that gets thrown at them traditionally are fried chicken fingers, fries, burgers, and pizza. I get tickled pink when I see a great children’s menu. Thanks for this! The Wave at the Contemporary has Chicken Nachos for the kids. Those were probably the biggest thing to go over for the kids on our last trip.